This Southern California Mold Worker 8 Hours course provides an overview of mold prevention and mold remediation. 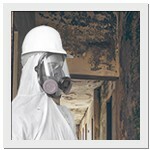 It is based on the EPA's voluntary March 2001 guidance document Mold Remediation in Schools and Commercial Buildings. This course does not describe all of the potential health effects related to mold exposure; it provides only an overview. Building managers, custodians, remediators, contractors, and other professionals who respond to mold problems may also want to refer to this course. This course does not cover all situations and all potentially useful methods or techniques. The absence of a method or technique from this course does not indicate or imply that is not effective. For more detailed information, consult a health professional or your state or local health department. The EPA does not regulate mold or mold spores in the air.